The UK government has said it will not reconsider its decision to remove a terminally ill African woman, whose visa had expired. 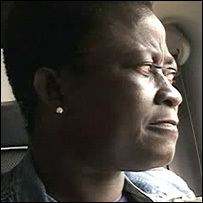 Ama Sumani, 39, who has cancer, was sent back to Ghana from Cardiff last week but cannot afford kidney dialysis treatment to prolong her life. The Lancet medical journal had called the decision "atrocious barbarism". But the head of the Border and Immigration Agency told MPs it did not stand out from other difficult cases. Lin Homer, the agency's chief executive, told the Home Affairs Select Committee: "I think it is difficult to see the circumstances in which this case stands out from the many very difficult cases we consider." During questioning by MPs, Ms Homer said the decision was backed up by previous rulings in the domestic courts, the House of Lords and the European Court in Strasbourg. She argued it was not cruel or inhumane treatment because many countries did not have the same high quality of medical care as the UK. Ms Homer also denied ministers has personally considered the case. She added she felt "deep personal sympathy" for claimaints in "challenging circumstances". Why should the British public be expected to pay for someone who technically should not be here. The Lancet needs to be reminded that it is the national health service not the international health service. "We see many cases where the medical prognosis for an individual would be far less good in the home country." But committee member Gwyn Prosser said: "Many people would believe that this case is exceptional. If it's not exceptional, good God, what is?" Ms Sumani, a 39-year-old widow and mother-of-two, had been receiving dialysis at the University Hospital of Wales, Cardiff for more than a year after cancer damaged her kidneys. She came to the UK five years ago to become a student but began working in contravention of her of visa regulations. Her visa has since expired. Ms Sumani developed malignant myeloma, a cancer affecting the bone marrow, while living in Cardiff. 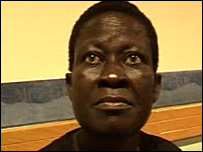 She was taken from hospital by immigration officers on 9 January and accompanied to Accra, Ghana's capital. 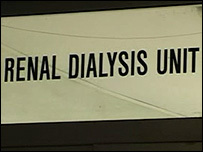 Since then Ms Sumani has been trying to get onto a dialysis machine but she said the main hospital in Accra had asked for the equivalent of about $6,000 (£3,060) to cover her sessions for the next three months. The Lancet earlier called on doctors' leaders to voice their opposition to Ms Sumani's treatment. The journal's editorial piece reads: "The UK has committed an atrocious barbarism. "It is time for doctors' leaders to say so - forcefully and uncompromisingly." It also published a petition signed by 276 doctors calling on the government to reject proposed regulations that would abolish the right of failed asylum seekers to seek medical help in Britain through the National Health Service (NHS). Ahead of the Commons home affairs committee session, its chair Keith Vaz told BBC Radio Wales: "We know that there have to be rules governing immigration, we also know those who break rules have to be returned, but there is also a question of ministerial discretion. "This is a compassionate government that needs to act on occasion in a compassionate way, while being extremely tough and ensuring the rules are upheld." "We understand her health is deteriorating, that is not a proper use of immigration powers in my view. "It is far better to remove someone that is able bodied than someone who is very sick and receiving treatment."